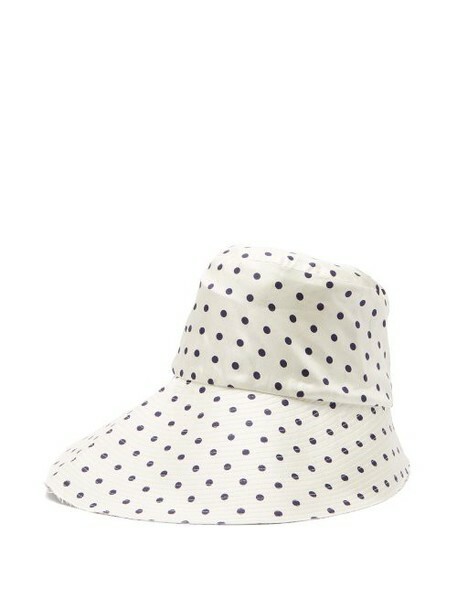 La Prestic Ouiston - The enduring inspiration of vintage prints that informs La Prestic Ouiston's vibrant designs is embodied by this white bucket hat. The lustrous silk-twill style features a polka-dot exterior and is lined with a map motif and snippets of text conversations for an unexpected twist. Wear it with a breezy blouse for long strolls in the sunshine.